A remote coastal hike with beautiful beaches, fewer hikers, an interesting history, and a fabulous assortment of mammal, bird and marine wildlife. 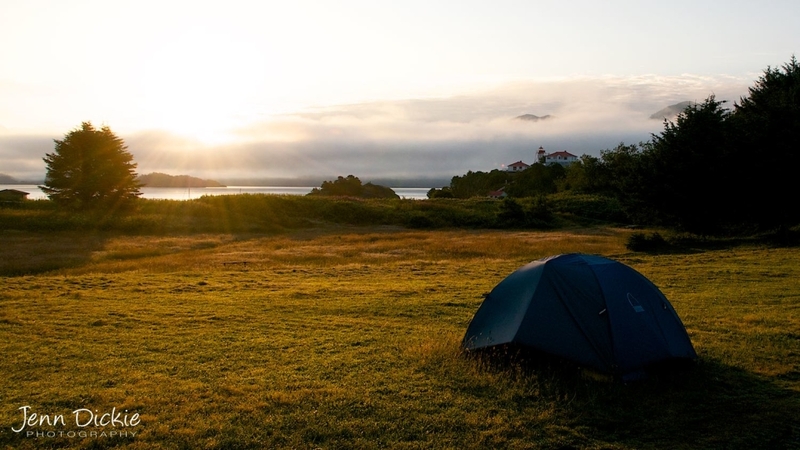 The Nootka Island backpacking trip offers a wide variety of terrain and scenery, packed into a fun and challenging 43km’s of classic coastal hiking. We will take a float plane from Gold River to our access point at Starfish Lagoon on Nootka Island. You will experience amazing sandy beaches, interesting sandstone formations and true old growth rainforest. We finish our journey at Yuquot or Friendly Cove where Captain Cook first made contact. 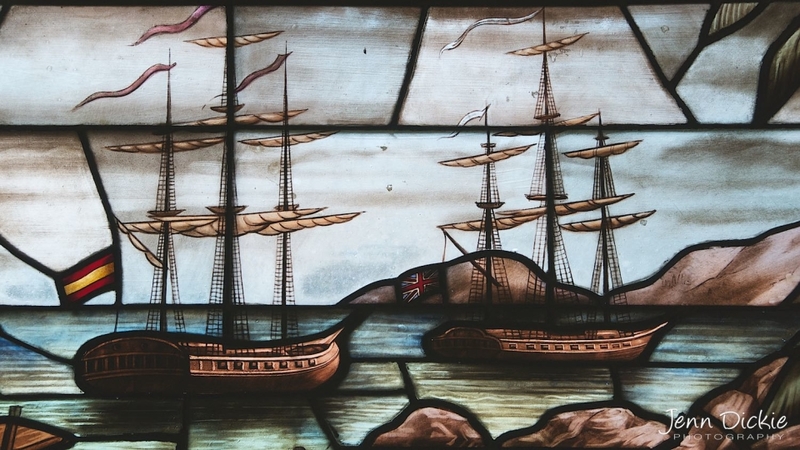 We will visit the local First Nations family, the historic church and the coast guard lighthouse. 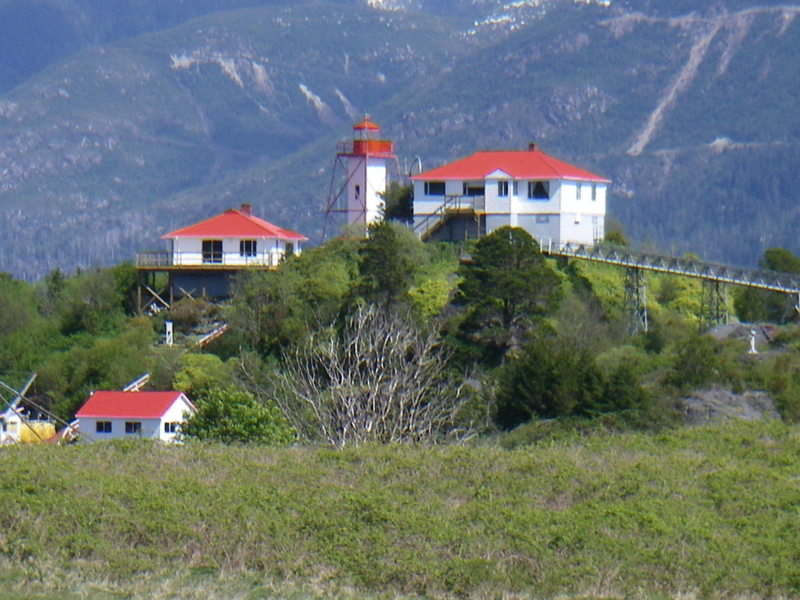 The area around Nootka Island is believed to have been inhabited for thousands of years. 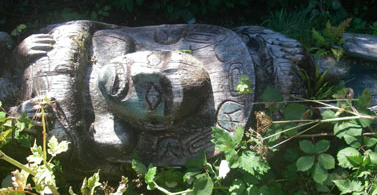 There is evidence to suggest that human presence at Yuquot at Friendly Cove dates back at least 4,000 years. The area’s inhabitants were first called Nootka by James Cook in 1778. As was the case when cultures with different languages met, communication was reduced to gestures and drawings, which were often misinterpreted. Although there is some debate over the origin of the term “nootka”, the best guess is that it comes from “nootk-sitl” meaning to go around or make a circuit. 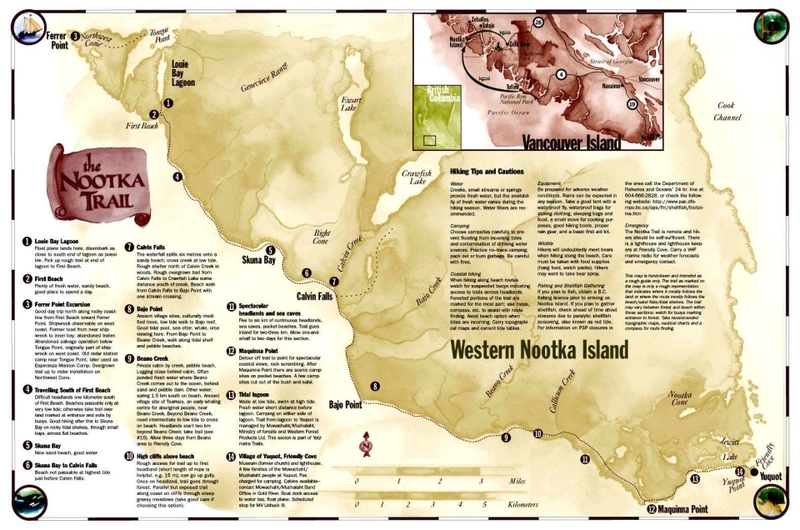 It probably was used by the inhabitants to indicate that Nootka was an island, and not to their name. The people who claim Nootka Island and who maintain a presence at Yuquot are the Mowachaht (“place where the deer come from”). This trek, on Vancouver Island’s rugged west coast, promises and delivers a great wilderness experience. Included: Transportation from the point of origin and return, any charter flights or water taxi, camping fees, cooking gear, camp stoves, tents, meal preparations, meals/snacks/beverages on the expedition, tarps, major first aid supplies, emergency radio or satellite phone, and professional guides. We can provide sleeping bags, sleeping pads, and backpack if required. Day 1: We will meet at the Tsawwasen Ferry Terminal for our sailing to Vancouver Island. We will then drive to Gold River on the west side of the island and catch our floatplane flight out to Nootka Island. A short hike will bring us to our first camp on the coast at Third Beach. Day 2: Today’s hike is a full day with a wide variety of rain forest and beaches, from sand to small boulders, forming our path. Our goal is Calvin Falls, a fantastic spot to enjoy on a warm day. This is our longest day km wise at approx. 14km’s. Day 3 :Beano Creek is our destination today. Beano often has a perfect swimming hole to enjoy after a day of hiking. We will cover approx. 11km’s today. Day 4: Today’s hike will be dictated by the weather and how the group is feeling. We might take a short day to Callicum Creek or push on past Maquinna Point towards Friendly Cove. We could cover anywhere from 3-12 km’s today. Day 5: This is the day we will designate as our lay-over day. We might in fact use this lay-over at any point during the journey. Every campground offers a good excuse to slow down and get our bodies attuned to “Island Time”. Day 6: Today we will say good-bye to Nootka Island. We will catch a water-taxi from Friendly Cove and then retrace our steps from Gold River back to Vancouver.